I have purchased two of the watches for my granddaughters. One is 14 and the other is 12. They love the watches. My husband gave me this stunning watch as a birthday gift, and I was amazed at how lovely it is. The picture doesn't show the fine detail and true size of the watch. It is just perfect for me as it is smaller than pictured. I love it! I would highly recommend it to anyone who loves watches. It is definitely an eye catcher. Attractive and colorful - and it keeps time! 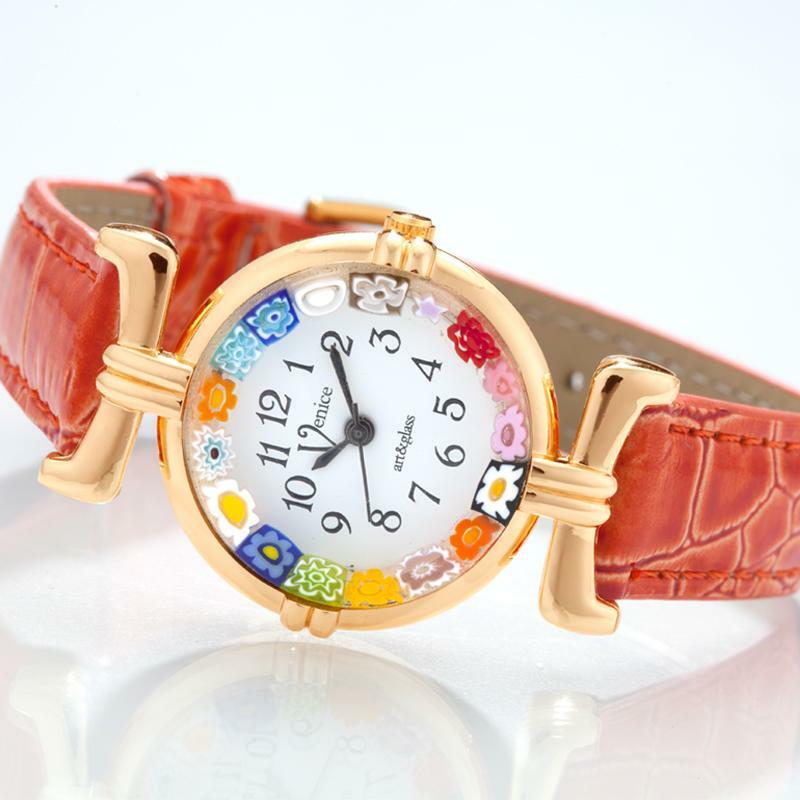 This reasonably priced watch is just the thing for the teenager or youthful woman that wants to have piece of Murano art glass flowers on their wrist. Don't be turned off by the orange color. I had paid $99 for my first watch, so I seized the opportunity to add more colors at the reduced price. My husband gave me this as a gift. The face is very pretty with the flower design circling the rim, and the numbers are easy to read. So I like the watch very much. The band is comfortable and I like the gold attachments near the face. This was a really nice gift ! very nice watch our grand daughter turned 13 and loves her new watch. I gave this watch to my wife as a thank you present. She loved it. The watch is designed for my wife hand and fit perfectly.